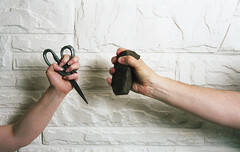 Our nation has proven that Rock, Paper, Scissors should and will be won by Paper. The Rock of military might and the Scissors of economic efficiency cannot compete with the Paper of enumerated rights contained in our United States Constitution. Even after 237 years, understanding and defending that Constitution remains vital. Oregon can be proud of its contribution this week. Oregon’s Classroom Law Project has been providing curriculum and competition for high school students since 1983. This week, all 50 states sent their best teams to Washington, DC to compete in “We The People.” The program tests students’ understanding of our Constitution’s roots, history, and modern applications. Grant High School in Portland won this year’s nationwide competition. Last year’s winner was Lincoln High School, just four miles west of Grant. South Eugene High School teacher Stan Paulic has taken two teams to the state competition. “During my first year at South, CLP sent me to the nationals in D.C. as an observer teacher. I got to see the best in action and found the whole event quite inspirational.” In a follow-up conversation, Paulic used the word “thrilling” three times. Students are drilled by judges, attorneys, and professors in a setting that resembles a Congressional hearing. In less than 15 minutes, they must cite case law, historical precedent, and modern repercussions of several Constitutional tenets. Two days later, three high-schoolers from a little school near St. Louis argued whether minority rights are helped or hindered by lobbyists. “Think about the corn growers — there are only 350,000 of them and … they practically run America,” claimed Kaylie Duke. In a rare example of bipartisanship, Congress debated and passed legislation allowing a commemorative coin marking the Baseball Hall of Fame’s 75th anniversary to be a few thousandths of an inch smaller than the original law required. The amendment was two sentences long, but it saved the U.S. Mint from having to purchase new equipment to accommodate the law’s original mandate for size and shape. Students debated whether drone warfare represents an unconstitutional expansion of executive power, why Congress has all but abdicated its constitutional authority to declare war, and which ideals articulated in our Bill of Rights drew inspiration from the Magna Carta. Across the street, the United States Congress had just completed a hurried fix for the Federal Aviation Authority’s “across the board cuts” required by the so-called sequester law. Was it any coincidence that the law’s amendment, designed to halt flight delays, was drafted and then signed into law just hours before our nation’s lawmakers were high-tailing it to the airport for this week’s recess? Who was learning to win at Rock, Paper, Scissors and who was counting the minutes until recess? Close your eyes and tell me you can guess which group is not a bunch of petulant teenagers. Also consider this. The sequester was designed to be so ugly and inconvenient that it would force Congress to devise a more sensible budget solution. For once in Washington, doing nothing would not be the most attractive option. Not only did lawmakers still choose to do nothing, their piecemeal fix for a single agency demonstrated that they cannot even do nothing well. If we could hand over the government to these high schoolers right now, we might see acne medicine subsidies immediately added to the Affordable Care Act, but I cannot believe we wouldn’t be better off. Doc Crawford liked this on Facebook.